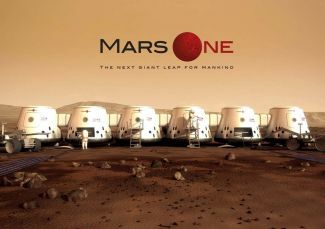 The Mars One front picture. This article is a stub. You can help Marspedia by expanding it. Mars One  is the first project to colonize the red planet with a precise planning. Intended as a manned one-way mission, the settlers will stay on Mars indefinitely. Started as a semi-autonomous colony, the plan involves sending enough equipment for the colony to become eventually independent from Earth. The initial technology for food and oxygen production will be sent before the arrival of the settlers. Most of the life support technology will be similar to that one on the ISS. The colony will be powered by solar panels. Food will be grown in LED-lit greenhouses with hydroponics. A possible location of the settlement could be the valley Utopia Planitia. It is not too far from the equator, so the sun can be used for power generation though the year, and it is far enough from the equator to reach areas with large amounts of subsurface water. 1.2 What if all missions after the arrival of the first four settlers are canceled? Bacteria may develop in a different way in the Martian greenhouses, because the different gravity and the microbial depleted in-house conditions may have strange effects in the long run. What if all missions after the arrival of the first four settlers are canceled? These items are copies from the thread "Mars One Leaks" on marsonefans.com, published by Torben, who claims to be involved in the Mars One project. 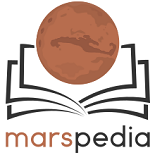 This thread is meant to leak technical details of Mars One. I (Torben) am involved in the technical part of the Mars One organization, which gives me access to most technical concept papers. There is no special restriction to the information I am going to give you, so I am pretty sure that what I am doing here is not in conflict with the internal Mars One regulations. However, I will not leak documents, schedules, financial details, data about persons (including myself) and business partners. I have been reading this forum for a while, and I have the impression that there is great confusion about what is technically possible, viable and planned by Mars One. You may asks questions in this thread, and I will give answers according to what information is available to me. Please go into detail. The more detailed the question, the more detailed the answer will be. How exactly will the colonists fetch water and fertilizer from the Martian soil for food production? First there is the everyday life support. The food will be grown by hydroponics. Every wastewater is fully recycled and reused in the hydroponics and for drinking. Recycling is possible with the help of bacteria in a bioreactor, resulting in "salty" water. Fresh water for drinking is produced by partly freezing the salty water (the ice crystals are pure water) or by condensation of air humidity on a cold surface. No or very little additional water or other substances are required to be fetched from the Martian environment. Second there is the expansion of the colony. This requires additional water, minerals, carbon, ore, building material. We have successfully tested the extraction of water vapor, carbon dioxide and minerals (dust) from a low pressure gas. Our plan is to use this method for adding small amounts to the internal biosphere. For the expansion of the colony's buildings we will collect dust and fine rock debris. 1. What method is used to prevent colonists being contaminated with poisonous substances (like heavy metals) from the Martian soil inside the habitat? 2. Secondary to the first question : how is prevented that this poison gets into the plants which are used for food? 3. How is made sure that the plants or other (micro-)organisms grown for food contain all the essential nutrients the colonists need (like cobalt for vitamine B12 or Omega-3 acids)? 1. The Martian soil used for building expansion is processed outside the living quarters. Another source of Martian dust is when people come back from an outdoor mission and undress from a space suit. We plan to mechanically clean the suits before entering the living quarters by a combination of vibration and vacuum cleaner. 2. The existing data about the composition of Marian soil and dust do not reveal a substantial risk of being contaminated if used as soil for plants. In the early years of the colony we will produce food only in hydroponics, not on soil, so the Martian soil does not infiltrate the food production. 3. Nobody can live pure vegan, that is a fact. Our plan is to grow a variety of insects for food, serving as a source of B12 and all other required substances that plants can not deliver. Additionally, a selection of substances will be part of every shipment. Mars One could however consider to use (all kinds) of micro-organisms (of which some can produce vitamine B12) instead of some insects. A healthy soil for plants to grow on usually contains all kinds of organisms (including insects). Yes, the use of biologically active top soil is planned for later development in the colony. Investigation is under way. Anyway, this is not trivial, as the biological long term stability of an artificial biotope could not entirely be verified so far. Remember the Biosphere II experiment, where some species got instinct and others multiplied. Another unanswered question is then still how you make sure these organisms produce all the essential nutrients in sufficient quantities. Every person will be medically monitored. If deficiency of any kind is discovered, the selection of food may be adapted. The dietary supplements in stock will provide an immediate help. More and different food plants and other organisms may be shipped from Earth. The establishment of a healthy biosphere in the colony is a process with a close scientific supervision. This is impossible to achieve in only one step. I thought Mr Lansdorp had come to the conclusion that making bricks on Mars was not possible. How do Mars One expect to use the Martian soil for "building expansion"? For one thing, Martian soil will be used to cover the light-weight buildings with a loose layer. For another, there will be bricks, but not of the usual kind. It will be more like a plastic brick with Martian soil as an additive. The pieces of the soil are mixed with molten plastic, e.g. polyethylene. The exact composition is still under investigation. Mars One usually quotes the life support system on the ISS when asked about the life support system they propose to use. The Paragon life support system conceptual design study was due to be submitted to Mars One around a year ago, was it? What do they have to say about life support system consumables, as the system used on the ISS can't be used beyond Earth orbit due to its reliance on the supply of consumables from Earth. The life support system of the ISS is not used for the colony. Consumables are considered as not acceptable any longer. Instead, a battery of bioreactors will be used to break down the organic material in the wastewater. In combination with the hydroponics this provides a closed loop for the water and food. Only energy is required to keep the cycle running. It is interesting to know what the total estimated power consumption per living-module will be for all the foreseen equipment that will be used. A list of all the foreseen equipment would also be interesting. The LEDs in hydroponics will consume the most part of electrical energy. Currently we are calculating with 180 kW per person for food production. All other life support equipment together requires much less than that. With four settlers (in the first two years) we calculate with 1000 kW on average for keeping the life support running. As with every vital component we are going to double the capacity of the power generation, that is the photovoltaic is planned to produce 2000 kW on average. With the life support running smootly we will have about 1000 kW spare energy, usable for non-vital consumption, such as construction work. What sort of "processing" do they have in mind? What's the size, mass and power consumption of the processing equipment? Where's the "molten plastic" coming from? Is the plan to take a huge supply of plastic to melt? The polyethylene (PE) is produced synthetically from water and carbon dioxide, extracted from the Martian atmosphere. The daily amount of synthesized PE depends on the spare energy. The processing has been demonstrated to work fine, optimization of the energy consumption and mass output is ongoing. And the oxygen and buffer gasses presumably. What about the atmosphere scrubbers, how do they intend to remove the CO2 etc from the 'air' they're breathing? The CO2 is consumed by the food plants. This is part of the carbon cycle, assumed that all food is grown by food plants in the colony. All hydrocarbon intake is exhaled as CO2 after digestion and metabolizing. Exactly the same amount of CO2 is inhaled by the food plants and metabolized to hydrocarbons. The carbon is neither created nor destroyed anywhere in the cycle. So, anyone feeling a bit peeky isn't going to be taking any antibiotics then. This is absolutely true. But infection with bacteria is rather unlikely in such an isolated habitat. Do you have the size, mass and power consumption figures for this "battery of bio-reactors"? The bioreactors are filled with spongy mineral material (pumice for example), providing a living ground for soil bacteria. The wastewater and other organic waste is rinsed over the spongy material, thus feeding the bacteria. No energy is required by the reactor, except a small waste water pump. The reactor size per person is 300 to 500 liters. Optimization of the mass is ongoing. Most probably we will reuse insulation material from the lander to fill the reactors. What sort of information could you give us on these proposed rovers? They play such an important part of the plan, and yet they are hardly ever talked about. When you look at those artist's pictures of the Mars One rovers, there is not much visible of the engine, the energy pack and the hoisting technology. There have been two models recently discussed internally with different approach. Both look different. One is equipped with 12 wheels (on 3 axes), a payload ramp and two hoisting hooks. This looks quite familiar, similar to the transporters for construction rubble containers. Mass = 2100 kg. The other is very flat, has a caterpillar drive and a lasso cable, looking more innovative and filigree. Mass = 1800 kg. No final decision yet to my knowledge which of the two will make it. The function of the first is quite obvious. The second approach is to crawl under the lander while the lasso cable is placed around the lander's body with the help of long highly mobile manipulators. I like the second much better, and I think this will be the one. Whatever the choice will be, there will be two identical rovers. The required payload capacity is 7.5 t, allowing the transportation of other landers. The hoisting gear is small but powerfull, because the transmission ratio is extremely high. Electrical motor with 1800 W. Loading and unloading takes about two days. However, once the payload is loaded, the vehicle can move with 20 m/h. The source of energy for the rover is photovoltaic (with battery) and a one time reservoir of liquid fuel (the type is not yet decided). Once the reservoir is consumed, the photovoltaics will be the only source. The fuel tank and fuel cells will be reused later in the colony for immobile energy storage facilities, providing reserve during periods of shortage. I understand the exact composition is still under investigation. Have you looked into the methodology for the manufacture and assembly of the bricks? Are you assuming to utilize 3D printing technology? Does a machine yet exist which can create bricks in Martian ambient temperatures and pressure? Also what about the process of setting the bricks in place and applying adhesive between the bricks? Will that process involve a chemical reaction with water or other liquid? And if so will the work area need to be environmentally controlled? What is the proposed construction plan and how much mass of construction tools, equipment and supplies are estimated to have to be brought in to the Martian colony from Earth in order to feasibly expand the base? There is no plan to use 3D printing technology. The bricks are processed in a casting box at 140 Centigrades, where HDPE is nearly liquid. Since the melting temperature does not depend greatly on the ambient pressure, the process can be done under Martian atmospheric pressure. Setting the bricks in place can be done manually, but we plan to use a remote controlled manipulator to reduce the risk for the astronauts and to save space suit wearing. Liquid PE is also used as a glue between the bricks. The surface of two adjacent bricks are warmed up with a hot metal plate, then the bricks are put together. This process is commonly used on Earth to connect the ends of wastewater PE tubes on Earth. As you can see, this processing needs not many tools and not heavy machinery. An electrical heating pot for the PE, a casting box, a heated metal plate. The concept of the remote controlled manipulator is versatile and not limited to this kind of work, so we can not actually count the mass of it only for this processing. The limiting factor is the spare energy, which allows producing PE and bricks only at a slow pace. The exact processing and construction time is variable. We will be happy if we can complete a building of 200 m3 in two years. How is dealt with situations where there's extra CO2 exhalation of humans, or less inhalation of plants? The day and night rhythm we have seen in the Biosphere II experiment with an excess of oxygen during the day and an excess of CO2 during the night will no occur under artificial light. The greenhouses are illuminated in a day and night rhythm, but half of the greenhouses have an opposed rhythm, resulting in continuous oxygen production. We have planned a network of sensors to monitor the air quality. When the CO2 needs to be reduced, the greenhouse illumination is increased, and the plants transform more CO2 to oxygen. How will you assure the bioreactors will do what they're supposed to do? We are going to install several separate bioreactors to ensure diversity, and the hydroponics in the greenhouse is also divided. We will have 8 separate circuits with a bioreactor and a part of the hydroponics each. Should one of the bioreactors develop some bad culture of bacteria, and the food production of the related part is affected, we can shut down this part, clean and disinfect it and transplant some of the good bacteria to give the bioreactor a fresh start. However, the bioreactors are supposed to work very stable and reliable, since the microbial life in it has a great diversity in itself. One more word about my answering scheme. You have probably recognized that I'm following a first-come-first-serve scheme. I do not want to prioritize, because every question is important. 2 megawatts... jeez, that's a little more than the original estimate, and it's an awfully large area, and an awful lot of solar cells, and control/interfacing equipment, and cabling, has the size, shape, and mass of this solar array and associated control and distribution equipment been calculated? Where does this 2 megawatts come from during a 6 month dust storm? Sorry, I have posted the figures of an alternative (soil based) greenhouse concept, which is planned for a later step of the colony. The hydroponics are expected to are more efficient regarding energy consumtion and grow rate. We calculate with factor 10, which is quite realistic so far. The required energy for hydroponics is calculated with 200 kW on average. The required area of photovoltaics is about 12000 m2. This is much more than is visible on the artist's pictures, indeed. And yet, it is not so much mass for the shipment. With a hight of 0.5 mm the shipment volume is 6 m3. The estimated mass is 3 t. Plus the cabling and electronics with roughly the same mass. The hole in the described plan is the air regeneration. While food can be stored easily, the air can not be stored in the needed quantity. Oxygen must be added, CO2 must be removed. The amount of electrical energy to do this with the help of technical measures is substantially lower than with photosynthesis. We intend to install an "Air Capture" system, based on sodium hydroxide, for the dust storm periods to remove the CO2. And we will provide O2 from electrolysis of water. The energy for the two systems comes from the photovoltaics. During this period we stop all building activities and most parts of the electronic systems for the video transmission. The inhabitants will have to reduce their physical activities to a minimum. We know this will be a hard time, and we hope this will not happen for long periods during the first years. When the equipment for the second group of settlers is sent to Mars, we will include an additional power storage system, based on the all-iron flow battery. This power storage system is specifically designed to be extended by local materials. A quick bit of Googling indicates you would need around 700 plants per person to adequately 'scrub' the CO2 out of the habitat atmosphere, so 2800 plants. This amount of plants would have to be maintained as a minimum, so if you were harvesting them for food how many plants would you need in total to keep a 4 person crew breathing and fed? And what volume would you expect this amount of plants to occupy? The number of plants is not a useful figure, since it depends on the species and many other factors. A better calculation refers to the required food energy. We calculate with 2300 kcal per person and day. The hydroponics are supposed to have a capacity to yield 50 to 90 kcal per m2. Several layers are stacked in the greenhouses to effectively provide 340 m2. The (two) greenhouses have a planned volume of 92 m3 each. And as I explained before, the oxygen for breathing is part of the cycle and will, therefore, be sufficiently produced by the food plants. There will be no extra plants for oxygen production. How about all of the other things antibiotics are used to treat? No antibiotics are used during the first years. This is one of several risks for the individuals on a colonization mission like this. In later steps of the colony we will build a special hospital station with a separate wastewater system, but I can no find specification about this. By the way arguments for bringing insects along seems to be more of a risk (or for the reality show) than a benefit, since, as Warpspeed says, surviving on vegetables is not only doable but also proven to be healthy compared to an ordinary cuisine. People have been doing it since the 70s and risks and benefits are well documented. Or does Mars One have a gene scientist on the payroll that can modify the DNA of the insects so that they can’t breed (or only breed oon command)? Surviving on vegetables is only doable on Earth, since the soil already contains B12, originated from insects and animal feces of various kinds. Growing insects on Mars poses no risk at all. The reproduction rate is easily controlled by the amount of food they get. We plan to cultivate a population of the Black Soldier Fly and a population of Termites. This page was last edited on 17 March 2019, at 09:27.